Warhammer: Vermintide 2 is ranked in the 90th percentile of games scored on OpenCritic. If you enjoyed Left 4 Dead or Vermintide, this is a no-brainer. If you enjoy the Warhammer Fantasy world, this is as close as we currently have to being in it (though who wants that exactly?). If you missed your days with Left 4 Dead, Warhammer: Vermintide 2 is the right cure for you. Overall, Vermintide 2 is a worthy sequel to the 2015 original. It takes the combat systems and class system and expands upon them. This leads to a slightly deeper RPG experience where players can customise the gameplay to suit their style even more than before. The setting of Warhammer's End Times is unexpectedly incredible, with the new locations and Chaos enemies living up to the billing. 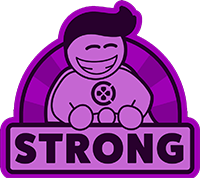 Several features, such as grinding for loot, have been fixed or developed, making the whole game feel like a huge step up. It all comes together to craft an experience that is fun, fast and will undoubtedly become a glorious time sink for many… just don't go into the game expecting an easy ride. Even though there's a deep and rewarding RPG-lite customisation system in place, it still comes down to strategy, working as a team, and being, well, good enough to takedown a Spawn of Chaos when your team's back is literally against the wall. And then survive whatever end-game scenario a mission might throw at you. Warhammer Vermintide 2 is a grand improvement over End Times expanding upon every aspect of the experience. 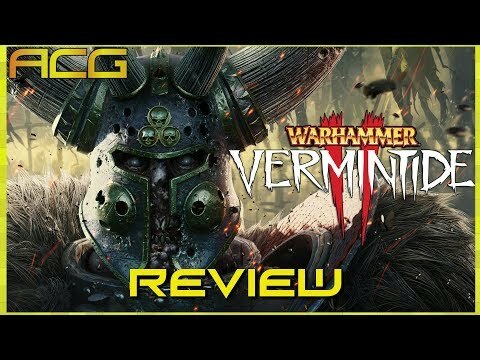 If you're into co-op gaming then Vermintide 2 is essential. Warhammer: Vermintide 2 is simply the best coop experience in years. Vermintide II feels like a predictable step in a fantastic direction. It's retained all of the bits of its predecessor that felt novel, and its gone the extra mile creating an ocean of foes that feel trickier and deadlier than ever before. After having recently taken Vermintide 2 for a spin during their closed beta any worries that I may have had for the newest edition were put to rest like that latest Slaven horde that came calling for our heroes' blood. Equipped once again with swords, guns, crossbows, hammers and explosives, take control of the group of five heroes as four of them head out into crazy missions with less than friendly odds of survival. Everything that made the first Warhammer: Vermintide so good, while tuning and fixing the loot concerns. Vermintide 2 is an amazing and fun time for those who love the Warhammer universe and those who aren't familiar with it. Chaotic, fast-paced, full of character and with more than enough gameplay to keep you coming back. Do you want to play a co-op game? Then look no further than Warhammer: Vermintide 2. Warhammer: Vermintide 2 offers a unique experience with a hack'n slash co-op survival style. With beautiful graphics and music, it keeps you excited all the time. Various hero careers and weapons choices let you test different play-styles and makes it sure that you will play it for thousands of hours. If you like these kinds of games, Warhammer: Vermintide 2 is a must. Bigger, brutal and visually striking, Warhammer: Vermintide 2 is an insanely fun co-op title. Warhammer: Vermintide 2 is one of my best experiences of 2018 and certainly one of the best among other similar games. It is an amazing and deep co-op action game that has so many to offer to gamers. Gameplay elements, combat mechanics, art style, world theme and also atmosphere of Warhammer Vermintide 2, feels like a balanced mixture of Skyrim, Lord of the Rings and Middle Earth series for me. Either you are a big fan of first person action games or not, Warhammer Vermintide 2 is a high quality and valuable game that i recommend for any taste. In the end, if you fancy going for better loot, fight more powerful enemies, and unlock all kinds of cool items, Warhammer: Vermintide 2 seems like a dream come true. Even with the bugs and the slightly unbalanced system, it's a game that still tricks me somehow into playing just one more map. The sequel to the critically acclaimed Vermintide is still great first-person co-op slaughter-fest. Warhammer: Vermintide 2 improves many elements of the first episode and is a true postcard from the End Times. Vermintide 2 is available on several platforms but I really recommend going for where you'll have friends to play with. I cannot stress this enough. Playing this game with friends is truly worth it. Vermintide 2 is a splendor. Probably the best Warhammer game at the moment, especially because Fatshark studio is talented enough to keep only the best of this universe. With an intelligent loot system, charismatic heroes and many classes, and some great violent action, Vermintide is a must-have if you love cooperative action games. Warhammer: Vermintide 2 is an engaging, challenging multiplayer game that succeeds in spite of loot and matchmaking issues thanks to clever level design and thrilling combat. Warhammer: Vermintide 2 is an excellent evolution of the formula set out by its predecessor and offers up some of the most intense, gory, and fast-paced co-op action you can find in any genre. Vermintide II may not introduce enough news so that we don't consider it a Vermintide 1.5, but it isn't need it, because if the formula of the first worked, the sequel does everything that made its predecessor. Warhammer: Vermintide 2 is good game – nothing more and nothing less. It provides tons of fun and enters the “co-op hall of fame” without looking back. Unfortunately I can’t shake off the feeling that the release was a bit rushed; the game arguably feels more like an Early Access version. Although the game is far from perfect in its current state, it's able to present a unique experience on a shaky foundation that will keep players entertained. Vermintide 2 improves pretty much every aspect of its predecessor, except the one which matters the most, loot variety and vertical progression. Enjoyable in short bursts, but lacks longevity at the moment. Like comfort food for the hack and slash enthusiast, Warhammer: Vermintide 2 is supported ably by its co-op action. Loot/progression dynamics, the odd few bugs and some repetitive action aside, it does warrant a closer look.